The Windy City went wild last night as Chicago Cubs fans celebrated their first World Series win since 1908 after beating the Cleveland Indians in an extra-inning victory. The game was played in Cleveland where fans and players erupted into celebration when Mike Montgomery got the final out in the 10th to secure an 8-7 victory. Parts of the city came to a standstill as fans honked their horns in celebration, some flying the famous “W” flag, used to mark a win for the Cubs. 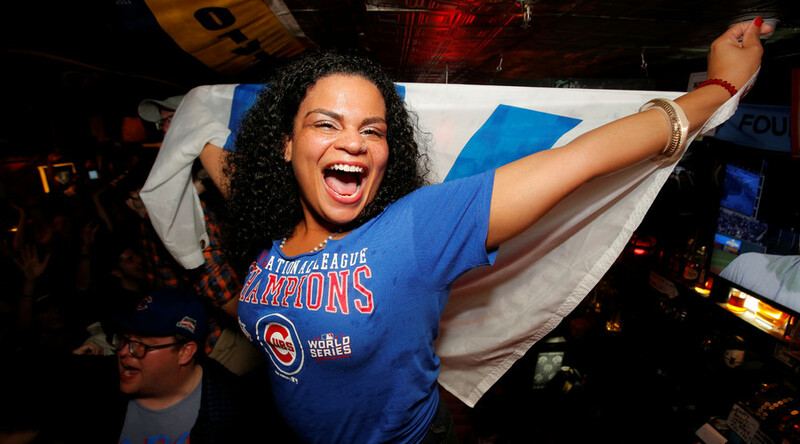 After a 108-year wait, Cubs fans celebrated the victory in city bars all over Chicago, having a well-deserved drink to honor their team.